To tackle watershed challenges, strength comes with collaboration. 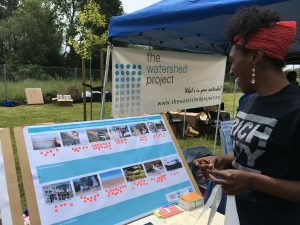 The Watershed Project offers a variety of services to act as a catalyst for change, boost the capacity of grassroots groups, and foster networks of stakeholders, all with the mission to nurture a more resilient Bay Area. 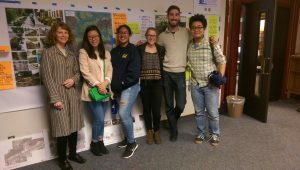 We have a long history of leading watershed coordination in Contra Costa County with fiscal sponsorship of small, grassroots watershed groups to coalition building and facilitation. By increasing capacity to our networks, we are improving the health and resilience of our watersheds. See below for examples of these efforts. 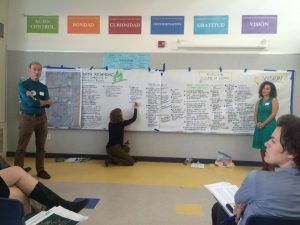 The Watershed Project acts as the secretary and facilitator of the Wildcat-San Pablo Creeks Watershed Council, which brings together stakeholders, including government agencies, nonprofit organizations, and individuals who seek solutions to challenges facing the Wildcat and San Pablo Creeks watersheds. 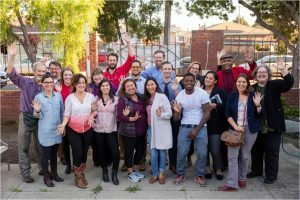 We organized and were community liaisons for the Community Advisory Board (CAB) for the Resilient by Design – North Richmond Home Team in Spring 2018, bringing local knowledge and connections to this process. We provide fiscal sponsorship to local watershed groups, increasing their capacity and providing financial support to the organizations.